Aravali Group of Nursing Colleges, Located in Udaipur (Rajasthan), is one of the cities leading educational foundation with high standards. I believe that the formula for a perfect institute is great students, great faculty and staff and great facilities. 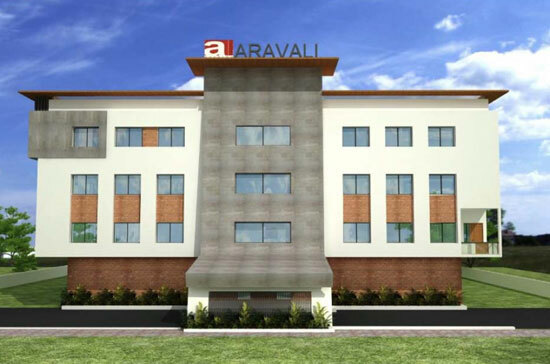 You will find it all here at Aravali Group Nursing Colleges. It is an benchmark of excellence with a difference.It is an Indian Nursing Council and RUHS certified leading nursing institute. It has always been our endeavor to impart not only quality education but also at a very affordable cost. We believe that no one should be deprived of higher professional education for not been able to meet a fees demanded by other institutions. Aravali Group of Nursing Colleges helps the students to qualify to achieve success in life. We offer a challenging intellectual environment for other students. Our admission process is honest, transparent and competitive. We provide out students with the best opportunities to establish a firm foundation through which they can embark on their career. With a committed and competent faculty and strong infrastructure Aravali Group of Nursing Colleges, endeavors to deliver knowledge to empower the leading and bright nurses of tomorrow. We wish you excel in your life ! The Aravali Group of Nursing provides support for nurses while contributing to the creation of a better health care system for all Indians. The goals are achieved through education and profession development for all nurses and by contributing to policy making with governments and relevant health organizations. The focus leads to continuing benefits for health care system through developing greater awareness of the significance of nursing to health professionals, relevant government and non government organizations and the wider community. On successful completion of the course Nurses can be placed in Govt. Hospital, Pvt. Hospital, NGO and they can also go abroad and get handsome packages along with name and fame. To lead the Development of the profession in line with the changing needs of the community, trends in health service deliver and the aspirations of nursing professionals themselves. The Institute believes in the work. A worth of the nursing profession and demonstrates this bythe range of service provides to support and sustain it. The Institute promotes a voice for nurses in determining the direction and future of health care delivery. The Institute respects and support regardless of difference and acknowledges individual efforts and achievements. The Institute is committed the continues quality improvement as a dynamic process of innovation and renewal. The Institute act with integrity to ensure accountability. The Institute is committed to lifelong learning. The Institute encourages an environment of critical inquiry and research-based teaching and management.